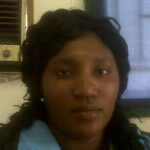 Micheline Minani Muzaneza Bagona joined Sonke Gender Justice in February 2010 and has held various positions within the organisation. These positions include that of a peer educator, trainer and senior trainer with the Refugee Health and Rights portfolio. She is an expert in Gender and Conflict and refugee rights, she is a sworn translator with the High Court of South Africa and international interpreter who is fluent in 6 different languages. Micheline hails from Burundi, she was born in DRC where her parents were in exile following political instability in Burundi. She completed her Honours Degree in Economic Sciences/Commercial Studies in 2004. Micheline worked for the Department of Home Affairs in Burundi as a Census Supervisor and Head of Polling station in 2004. She also worked for the United Nations Operation in Burundi as a Public Information assistant and as an assistant in Human Rights Section from 2004-2006. While working with United Nation Operations in Burundi, she completed a number of trainings in electoral process and supervision, HIV and AIDS facilitation training, Gender Equality and conflict, Sexual Violence against Women, Prisoner’s rights, Street Kids Rights, Photography and the use of the Media. Micheline has also attended and completed a number of trainings and courses in South Africa and abroad which include HIV and AIDS, Film Screening, Sexual and Reproductive Health and rights, Personal Growth, counselling, conflict resolution with CCR, Mediation, Rule of Law with the KAIPTC, DDR and Gender with the NODAFIC, VAW emergency preparedness and response and interpretation with IRC. 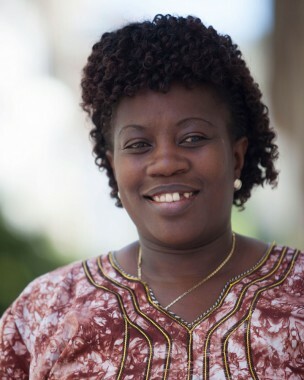 In March 2010, Micheline was one of 17 women selected from Southern Africa to attend a training of trainers on Gender and Active Non Violence, a programme jointly run by the International Fellowship of Reconciliation (IFOR) and Women Peace Maker Program (WPP) now known as AWANIch. In South Africa, she has worked at the Department of Home Affairs as an administrator/interpreter, she was also a volunteer for Shade, a local NGO and an assistant in Women (Sister to Sister) and youth programmes in 2007. She was the coordinator of a youth camp held in Franschoek (SA) and coordinator for a youth programme during an International Women Conference in Solwezi, Zambia in September 2007. Micheline also worked as a project coordinator on Disaster Management that focussed on Xenophobia, with ANEX during the 2010 World Cup on issues of human trafficking, as a Coupon Manager for the South African Medical Research council and as a field worker and research specialist in the Women’s Health and Migration Study. She is a member of the steering committee of the Survivors United for Action for the Nobel women initiative.